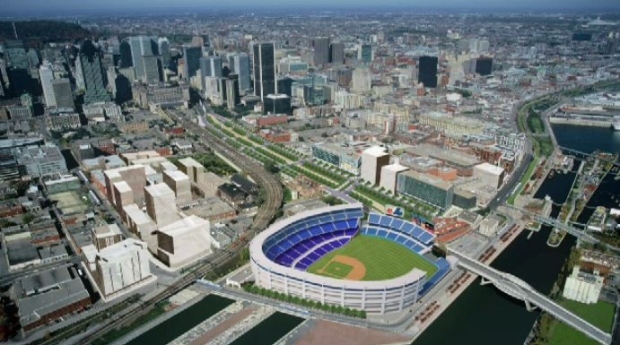 A community group in Montreal thinks plans to build a baseball stadium in the Peel Basin will neglect their neighbourhood. The Action-Gardien group in Point Saint Charles says the plan to build a stadium in the area will not meet the needs of existing residents, and they want a say in what happens in the area. Action-Gardien said that the plans that have been presented so far treat the Peel Basin as if it is not connected to the rest of the neighbourhood. The community organization has planned several information sessions about the region's history and plans for its development, including guided tours on April 8, 27, and May 5 and 25. A consortium led by Stephen Bronfman is negotiating with a federal agency to purchase land in the Peel Basin that is owned by a Crown corporation. The group wants to build a stadium in the area, and Montreal Mayor Valerie Plante supports the idea, pointing out an REM station will be located a short walk from the region. Action-Gardien said it would be more appropriated to use the terrain to build social housing, community infrastructure, and so create year-round local jobs instead of seasonal part-time employment. A report published by the organization in April 2018 indicated that compared to the rest of the population of Montreal, residents of Point Saint Charles were younger and less employed.